Deepwater Horizon: what went wrong? 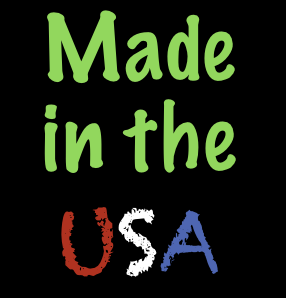 Click image for full graphic. Illustration: Paul Scruton for the Guardian. Originally published, here. 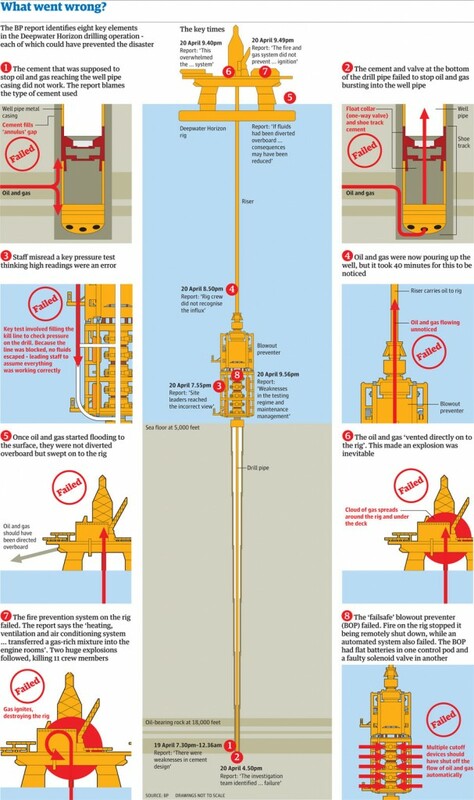 BP’s report into the Deepwater Horizon oil rig explosion has exposed deep failings in the company’s operation, categorising eight key failings. BP admitted today its managers on the Deepwater Horizon missed key warning signs in the hours before the explosion aboard the oil rig, but an internal investigation put much of the blame on other companies involved in the well. A 234-page report described eight main causes for the blast, which killed 11 men and created an environmental disaster. But BP was accused of attempting to pass on the blame for its conclusion that Transocean, the rig owner, and Halliburton, which carried out cement work, shared much of the responsibility. But the full report also contained – within the detailed analysis of the operation – a comprehensive, minute-by-minute timeline of every event, as it happened. 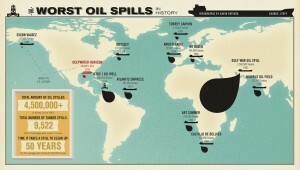 Infographic showing the history and size of worldwide oil spills. Originally posted, here. Click image for full screen.